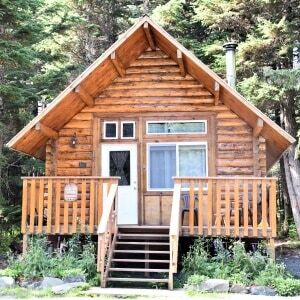 All of our Girdwood cabins are modern with a rustic charm. We provide your linens & towels and the kitchens have everything you need to prepare a meal. And to answer a common question – YES we have running water and heat : ) ….. and high speed internet too! Alyeska cabin has an open floor plan with a loft for the sleeping area. The loft has a king and full sized bed and the living room also has a sleeper sofa to accommodate additional guests. The cabin has gas heat but additionally has a wood burning stove which gives it a cozy feeling in the winter. Alyeska Cabin was remodeled in 2018 with a new kitchen and bathroom that features a claw-foot bathtub. 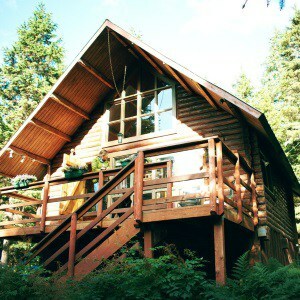 Alyeska Cabin can accommodate six people. Glacier Cabin is a one room cabin with a queen bed, sitting area and kitchen on the main floor. There is a ladder to a loft that also has a queen bed – ideal for kids or adults that can climb a ladder! We added a bathroom featuring a clawfoot bathtub to relax after hike or ski. The cabin has gas heat but additionally has a wood burning stove which gives it that cozy feeling in the winter. Glacier Cabin can accommodate four people. My husband built me a log cabin for Christmas : ) Placer Cabin opened December 25th 2016 and is a beautiful two bedroom log home. The upstairs bedroom has a king bed and the main floor bedroom has a queen, additionally the living room has a sleeper sofa. 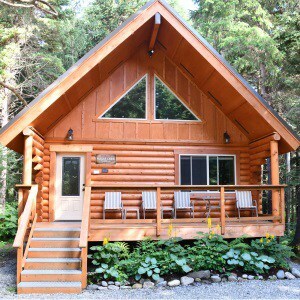 This cabin features concrete counter tops, a walk-in shower and our properties border the Chugach Forest with great hiking trails. Placer Cabin can accommodate six people. Alyeska Hideaway Log Cabins are two miles from the slopes and are on the Girdwood shuttle route to simplify your transportation needs to the mountain or out to see a show. 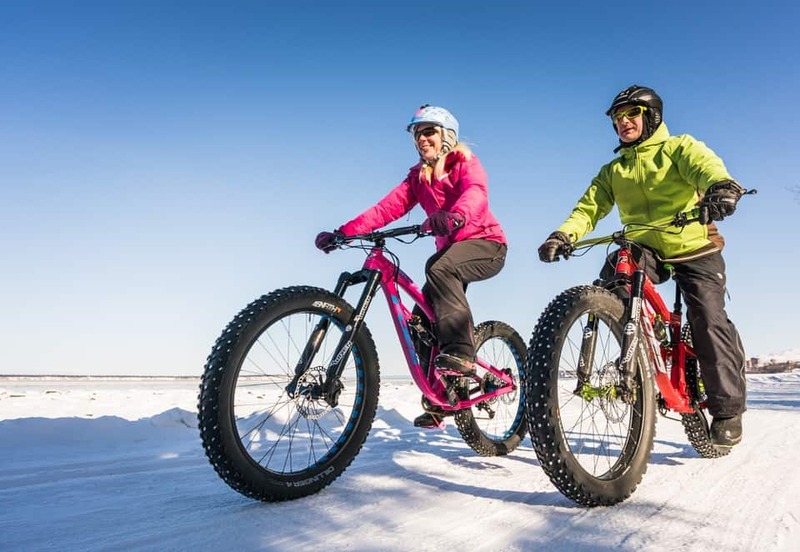 We have everything you need to make your Alaska trip “Alaskan”. Forget the hotels and enjoy comfort and privacy when staying in your own log cabin. Call us at 907.317.8833 and book with us today!